We have dedicated June to the greenhouse. Greenhouses give your plants greater chances in life and have been many a gardener’s favourite. In the greenhouse, we advice you place plants that are usually tricky to maintain in the UK weather. Follow these tips to a jolly June. – STAY VENTED: Ventilation inside the greenhouse is very important in maintaining the health of your plants. Make sure you open the doors and windows of your greenhouse on warm days so that it doesn’t get too hot and too stuffy in there! – HUMIDFY: Creating a humid environment is key to producing flamboyant foliage. You can create the perfect environment by damping down your greenhouse. Make sure to do this on hot days to accelerate growth and reduce the risk of red spider mites. – FLYTRAPS AND BLINDS: Flytraps are a great deterrent from pesky pests. Hang them inside the greenhouse to attract them away from your beloved plants. 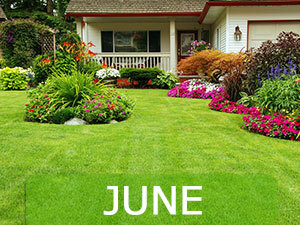 Also, to reduce fluctuations of temperatures which can be damaging to your plants.